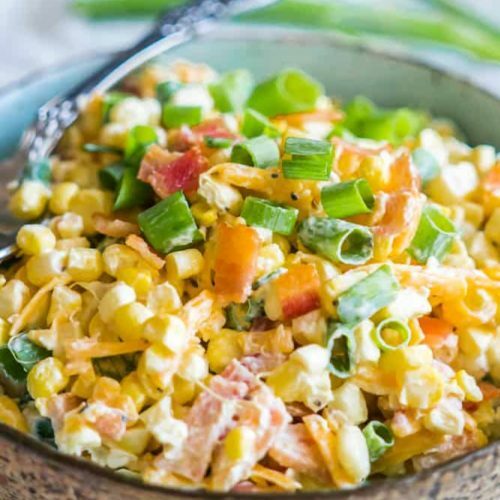 Fresh sweet corn kernels are tossed together with crispy bacon bits, shredded mild cheddar, freshly chopped scallions and sour cream. Can I get an “amen”?? How did I manage to conjure up such a delicious creation, you may ask? Well, here’s the story – I scrolled by a “Loaded Potato Salad” on Pinterest and was impressed by what I saw – I couldn’t get it out of my mind. Then one day we were having a little Chipotle and after taking one look at their corn salsa, I was like “bingoooo!”. 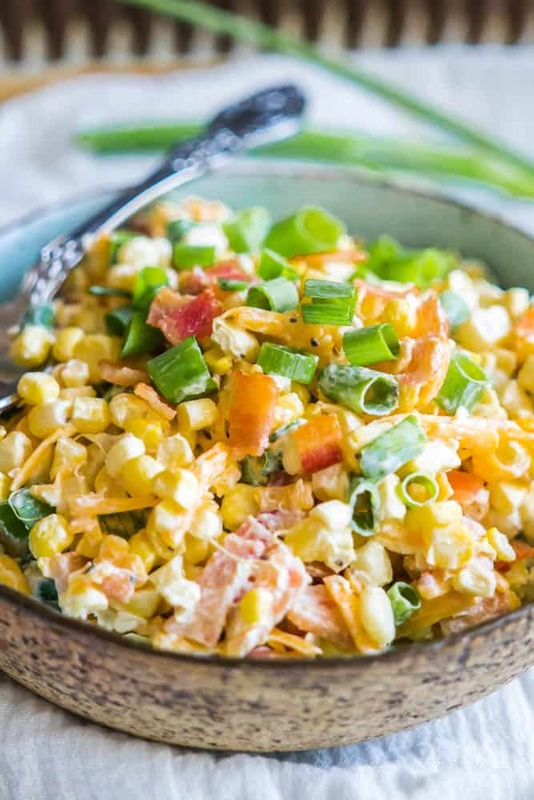 What do you get when you blend corn salsa with a picture of Loaded Potato Salad in your head? You got it! 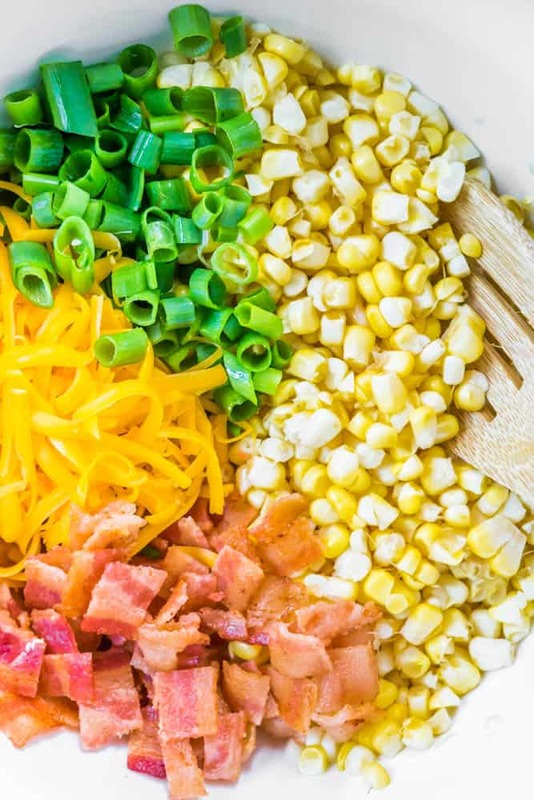 Loaded Sweet Corn Salad. Thank you random pin and Chipotle that inspired me to create this fresh little side dish. So, it’s the perfect side dish for pretty much anything. Or you could just “taste test” it so much while cooking that you’re not even able to eat it with the rest of the meal. I’m not saying it’s what I did 😳. Okay, it’s exactly what I did…I just couldn’t help myself. The deliciousness was overwhelming and I, unfortunately, have zero resistance when it comes to overwhelming deliciousness. Sorry, not sorry. Toss all the ingredients together and voilà! You're done! Tip: Save some scallions and bacon for garnishing. 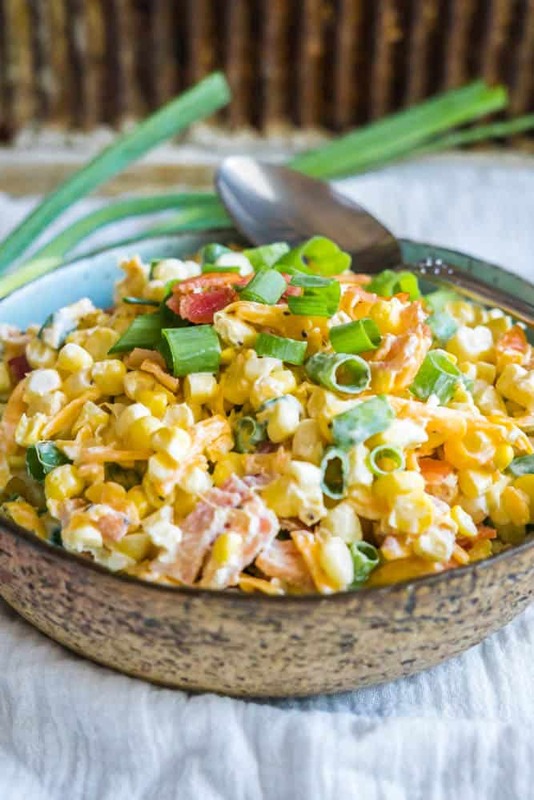 Loaded Sweet Corn Salad – Pin it!